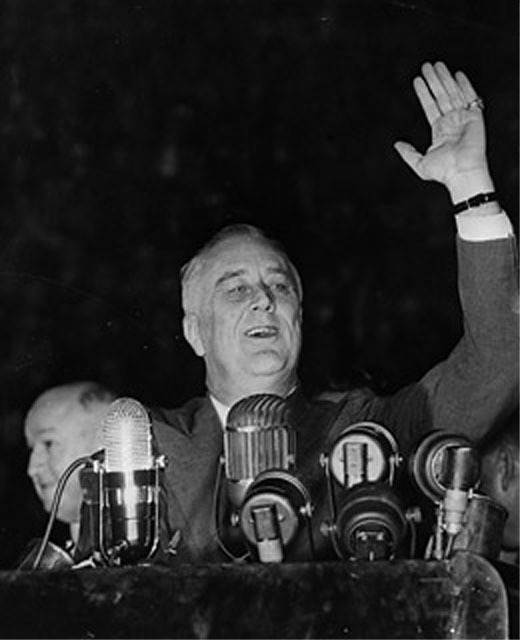 I would like to see the hand of which Roosevelt was President at the time of the Great Depression. I am not sure if it is Franklin D. or Theodore. Thanks. It was Franklin Delano Roosevelt who was president during the Great Depression - who is these days recognized for his efforts back then. Thank you for your request... but I am sorry: it is usually impossible to find quality photos of people who's career evolved before the 2nd half of the 20th century - so your request is for me sort of a 'mission impossible'. Thanks for the info. and photos. The reason I wanted to see his hand was because you had said about the little and long ring figure showing ambition, when usually the actors and film stars have this.You also said about most of the American Presidents having this feature. I suppose politicians are in a way actors (sometimes comedians) also. 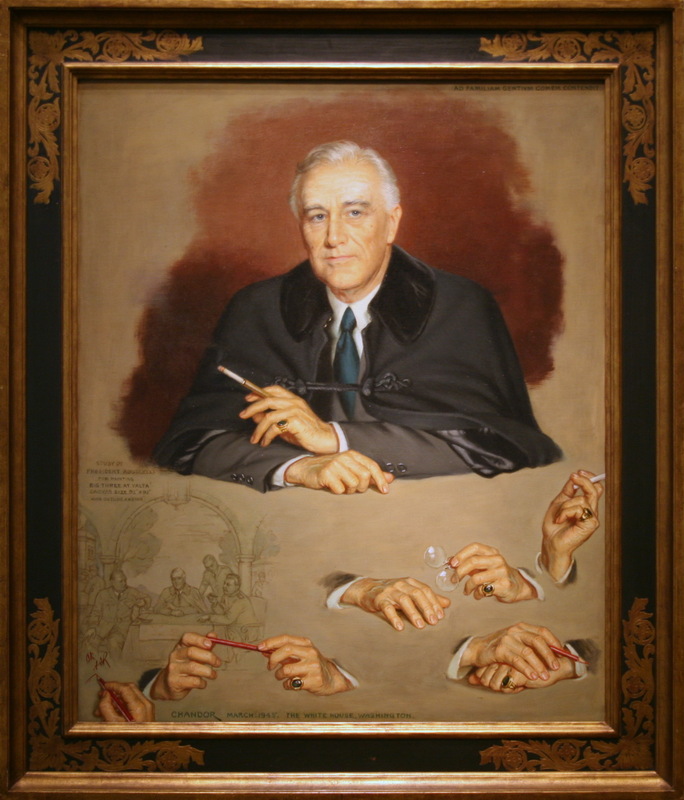 I remember it being said that Franklin D. Roosevelt was considered the best President America had ever had and I thought he maybe would have had the longer index finger, thinking he maybe was not an actor and had natural ambitious ability. When that opinion was stated it was said that he was the best President and Kennedy had been the most popular. However, looking at the photos I think it does look as if his ring finger was the longer. Thanks again. I agree with your observation, from my point of view I think especially the 3th photo confirms that Roosevelt as well had the 'long ring finger' + 'long pinky finger' (and the 2nd photo indicates that his index finger was likely within the range of 'normal'). Wow , one of the person in 'Big three' ( other two are churchil and stalin (russian president who was the reason for hitler's death)). The history might be changed and hitler might be ruled the whole world if this union of capitalist and socialist countries was not done. Roosevelt, he is the only president ruled america for 14 years against the usual rules of america. However, i see a great sharpness and diplomacy in his eyes always. Then, i could see a wheel sign on his jupiter mount (left hand). No other indication helps here to identify him as politician because of not having good picture.